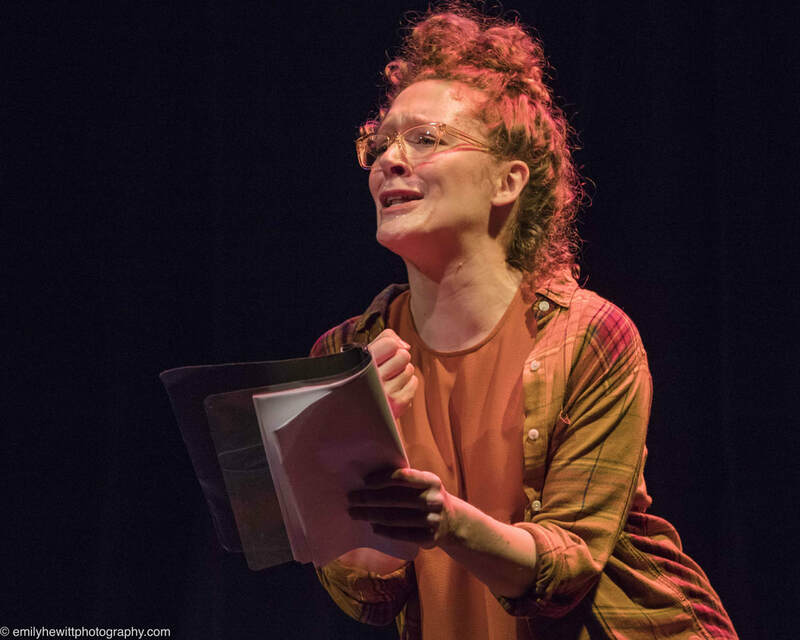 Suzanne is a Eugene O’Neill Conference Finalist, a Women’s Works Short Play Lab 2018 Finalist and a Fresh Ground Pepper PlayGround Play Group 2017 Finalist. 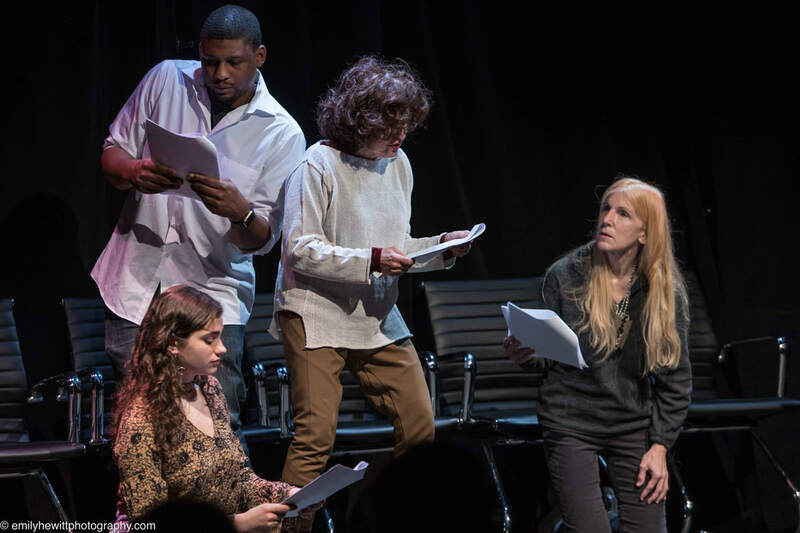 ​Fall Pieces, a collection of experimental shorts (Dixon Place 2015); Tompkins ’88, a play about the Tompkins Square Part Riot in 1988 (Metropolitan Playhouse 2015); Robert McIntyre, a man’s struggle with his paralyzed hand (Manhattan Rep 2014). ​Full productions include: Red Pepper (2011), a play about the 1950 Florida Senate campaign; and Maria’s Song (2008) a musical drama about immigration. Her solo show, The Feminazi enjoyed a four-month Off-Broadway run. Suzanne’s first show, Pain: So Funny It Hurts garnered four stars in the Edmonton Fringe Festival. 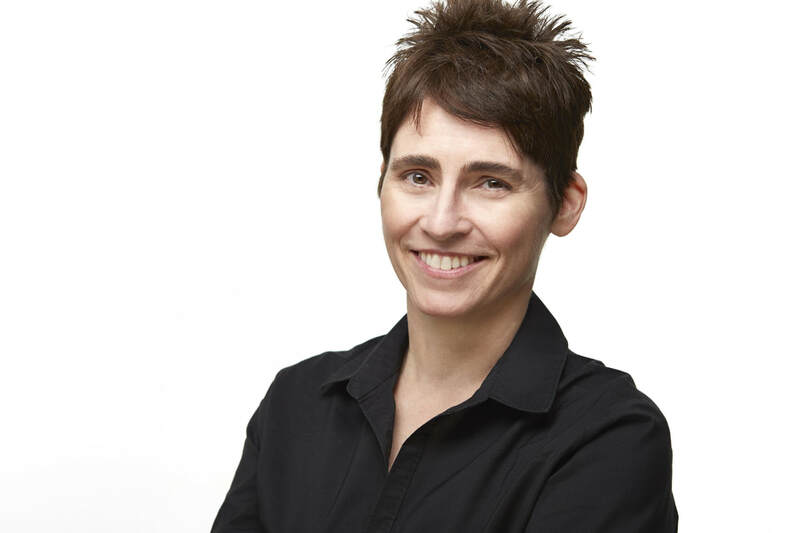 She received her MFA in Playwriting from Hollins University and is a member of the Dramatists Guild. ​Top photo: WHITE WASH featuring Carole Forman, Isaiah Seward, Cynthia Granville and Jess Beveridge; the UN-Aguration, 2018. Top photo by Emily Hewitt.